Hurry - Only a Few Open Spots are Left !! 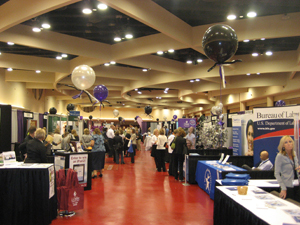 WI SHRM Exhibitor Packet (PDF) This packet provides you with additional information and details about this great opportunity to exhibit with WI SHRM. Valley Expo Kit (PDF) This packet contains the Exhibitor Resource Kit. 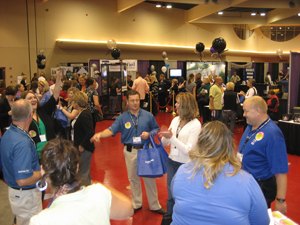 The WI SHRM State Conference Exhibit Hall provides an invaluable opportunity to meet HR professionals in a fun, interactive environment dedicated to the networking of ideas. 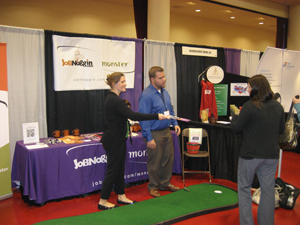 This event will have over 100 exhibiting companies from diverse industries that serve the needs of the HR profession. With a spacious area of exhibit space and hundreds of HR professionals in attendance, what a great audienceto share your story with. If you are interested in other opportunities to connect with HR professionals, be sure to check our Sponsorship and Advertising links for additional information.